You've read his books a little too late at night, right? Then the floor boards start to moan, and the wind rattles your windows. Tank top is black with a red print. 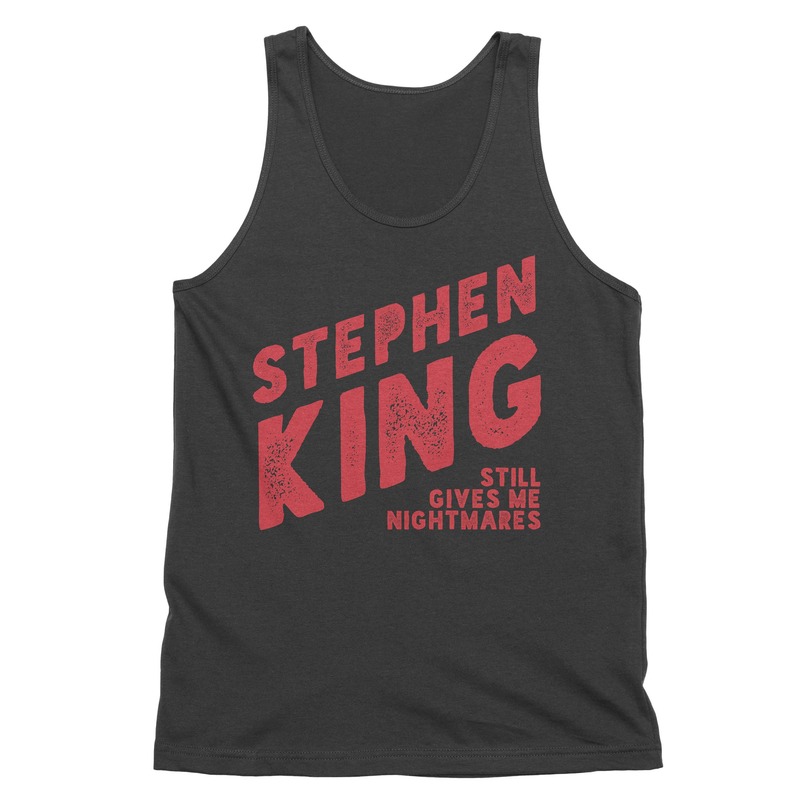 Super soft unisex shirt is lightweight and 100% cotton. For clothing, each piece is made to order, so shipping could take up to 7 business days, but items are usually shipped out more quickly (3-4 business days). It just depends on stock and demand. INCORRECT OR DAMAGED ITEMS: If you receive an incorrect shipment and/or damaged items, please notify me as soon as you can so I can arrange to have the correct item shipped to you and/or fix any damaged purchases. WRONG SIZE: Because items are made to order, we can't make exchanges due to choosing the wrong size. 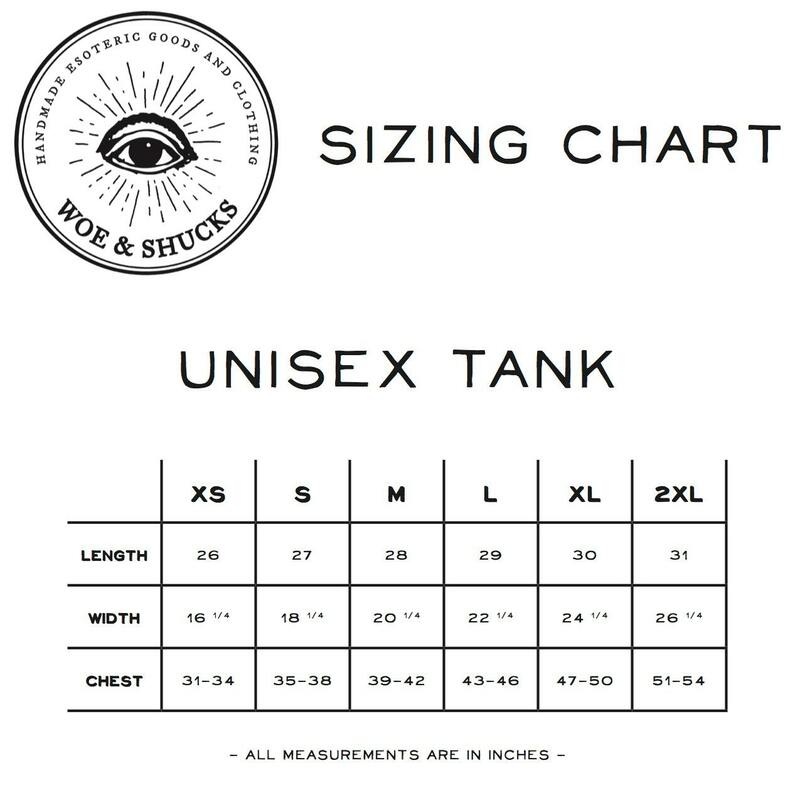 Garment sizing charts are included in each listing (in the images) to help you find your best fit. If you really have a problem, please contact us though, and we'll try to help you out as best we can. Absolutely love my new tank!! Thank you! I ordered a size small and it's still a bit large- but pop it in the dryer and that might help. I usually wear a women's medium but the small is perfect! I love this shirt, a new favorite.